To watch it rain for a bit. 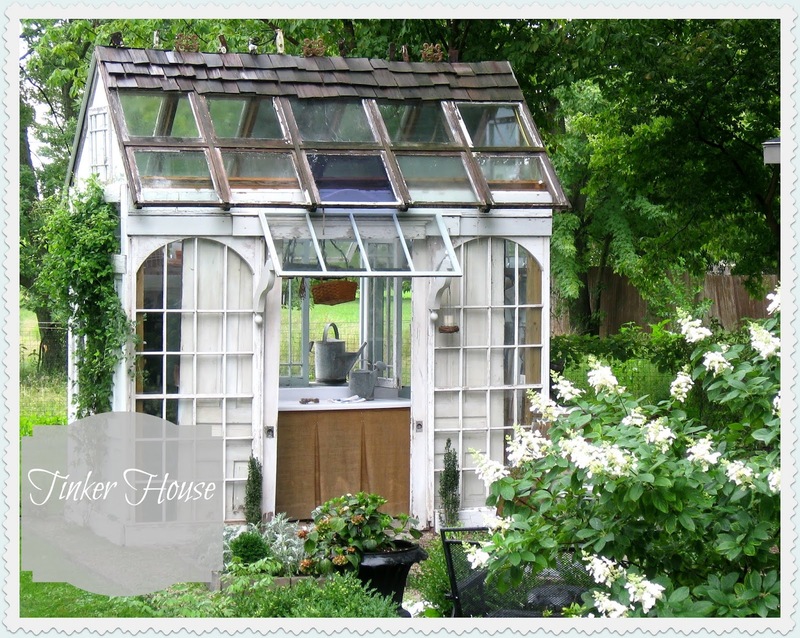 Tinker House needed a good bath! I am so grateful for the rain we so desperately need it. Do some weeding or plant cleanup. Instead, I think I will head inside and paint trim in our dining room and living room. I love Summer showers! We save BIG on the water bill! I can only imagine how fun it would be inside of Tinker in a rain storm! Blessings to you as well on this day! I'm so glad you got a rain! We got a few drops, not even enough to wet the sidewalk. Tinker looks lovely as usual. I am staring out the window at the POURING rain here in Birmingham! I was so glad to see you as a new follower of Vintage Mulberry! Thanks for taking the time to do that! I look forward to reading your blog..it looks wonderful! Have a great Tuesday in the rain! No rain down here south of Indy! It got so dark this morning & I thought sure it would rain, but soon the clouds blew away. I too need to weed & clean out my gardens but am waiting for cooler weather. Your photos are lovely! At last, at last some noteworthy rain here (NY). Muggy but sustaining as being on a well at the farm there's little extra water for plants. Ahh! Rain days can be so refreshing mid-summer! We also had a rainy day - a good time to get things done inside the house! Enjoy your rain...I'm sick of it, but I know you guys are in desperate need of it lately. Love your 'tinker house' - so pretty. 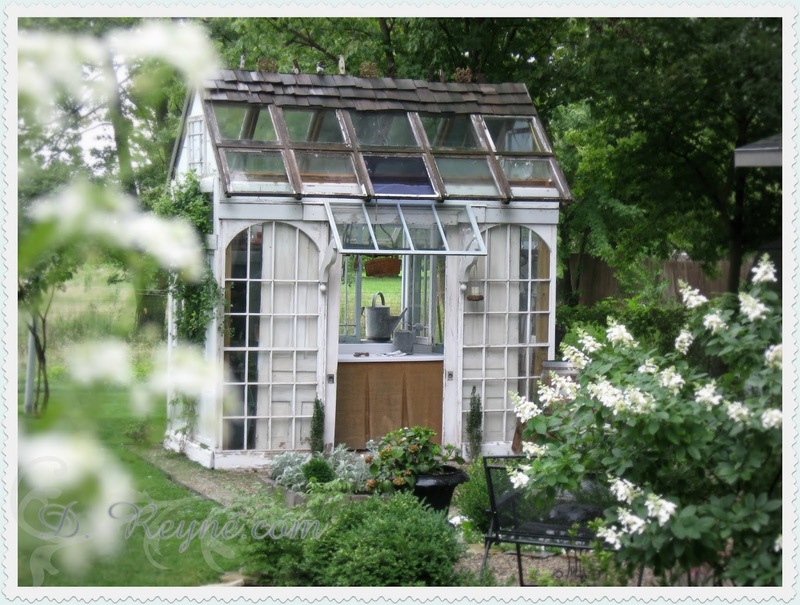 I can envision wanting to be out there most of the summer and playing in the garden. Glad to hear that you have had some rain.